Learn how to get started with the basics of marketing automation on your WordPress website. This session covers basic strategies, tactics and tools for turning your lifeless WordPress website into an automated marketing machine. Come ready to discuss! Share with attendees what types of automation you're currently doing and how it's working for your WordPress business website. NOTE - This session is focused toward business websites, but is valuable for websites of every type. 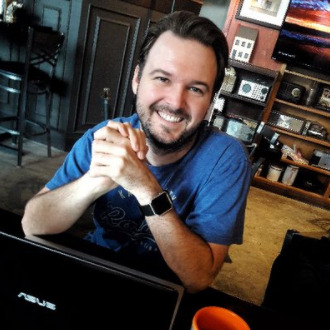 Travis Pflanz is a search engine optimization strategist and owner of WebWorks of KC - <a>http://webworksofkc.com.</a>; Travis specializes in SEO for small businesses who target local customers and clients. When not building WordPress websites and creating SEO strategies, Travis volunteers at Wayside Waifs Humane Society, Spay & Neuter KC and organizes the Kansas City Dog Club – a social club for dog lovers and their pooches. Note - Before and after the presentation are great times to meet other group members and discuss your WordPress website, including asking for advice or help. 0 Response to "August 31: WordPressKC - Getting Started with Marketing Automation on your WordPress Website"